Neither had I until about a month ago but if you’re in police equipment procurement you probably know the name. ASP has been a leading Law Enforcement supplier for decades. 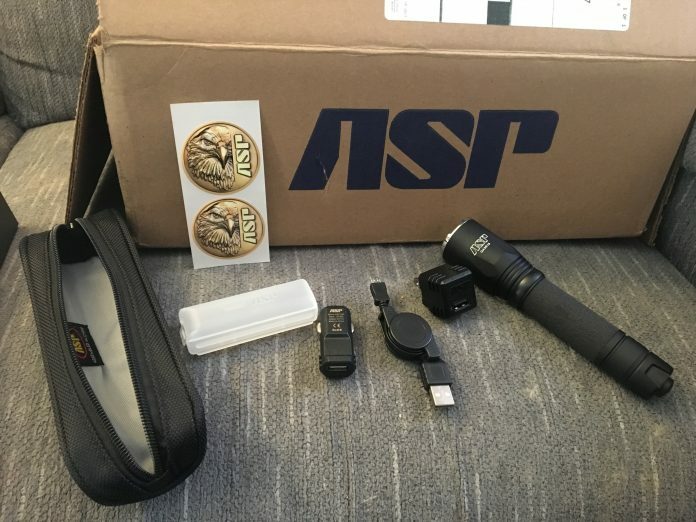 Flashlights, batons, handcuffs, training, and training aids have been ASP’s premier products to the LEO community. 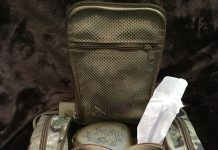 Products useful for one market usually have crossover into more and ASP this year at SHOT Show (Booth# 11971) will be opening toward the civilian self protection and EDC markets. ASP is debuting an expansive selection of handheld duty ready lights to meet end user requirements. The company was a complete unknown entity, but their response when I began inquiring about specifics was… well, thorough. Instead of a vaguely descriptive sales pitch about tactical lumen dynamics or any of the other buzzwords they said “here look”. 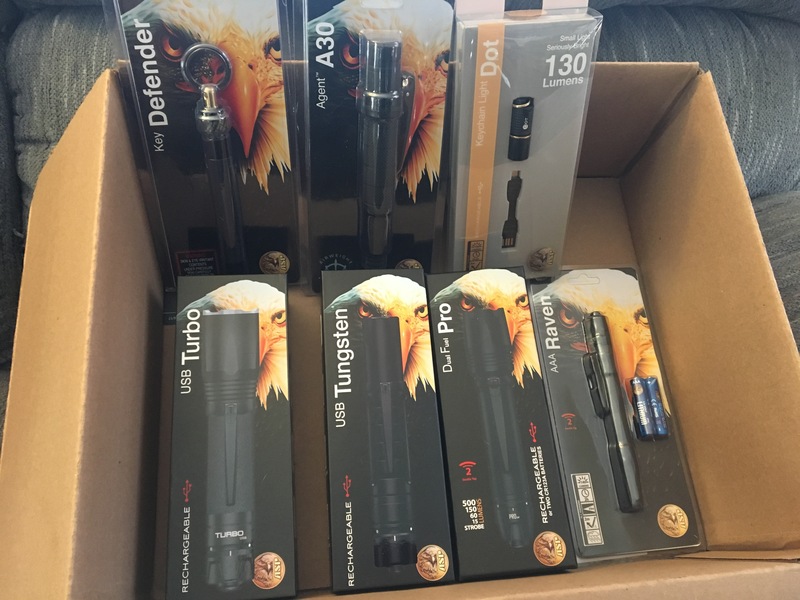 They sent me the Dot, Raven, Pro DF, Tungsten, and Turbo. One of the greatest features I’ve seen on any handheld was immediately apparent on four of the lights, micro USB recharge. Not just an optional rechargeable battery with a ‘buy it later’ recharge pack, the lights themselves plug into a micro USB. You can plug the lights into your car, laptop, phone charger, wall outlet and all the hardware is included. 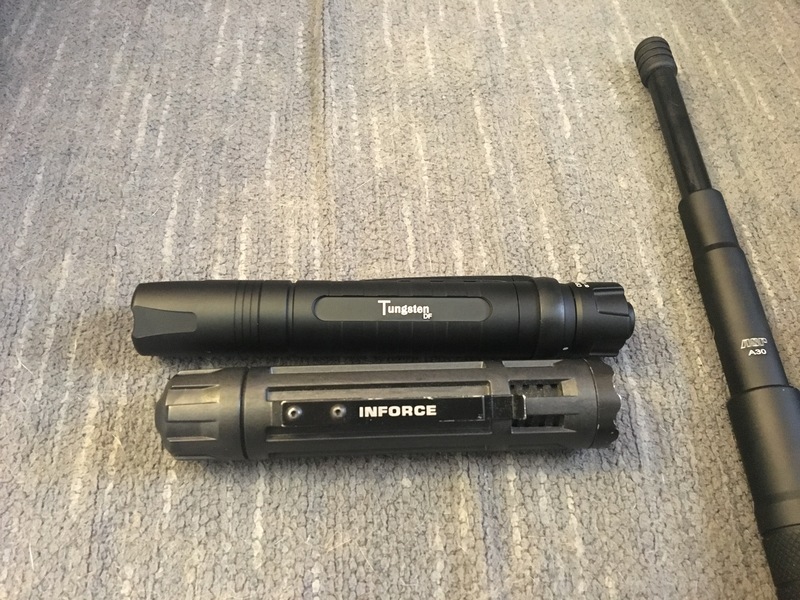 The Dot has an internal rechargeable battery and the Turbo, Tungsten, and Pro DF have the ASP Proprietary 18650 Li-Ion battery. All of the 18650 powered lights can use CR123A batteries as alternative power sources, the use of the disposable batteries also uptick the lumen output. The individual capabilities of each of these lights cover a wide range from simple single mode to multi mode selective illumination options. As I dig into each of them individually I’ll detail the features in their reviews. I have adopted the Tungsten as my EDC light and testing begins immediately. 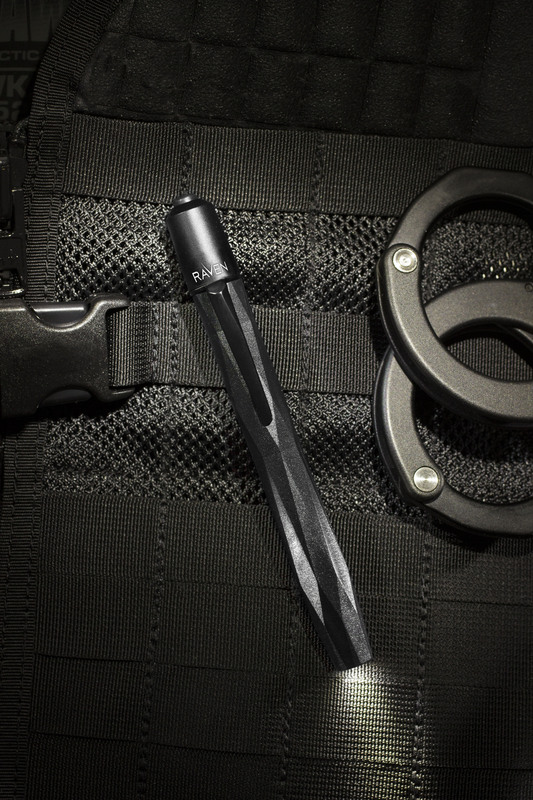 The Raven is ASPs newest little penlight. 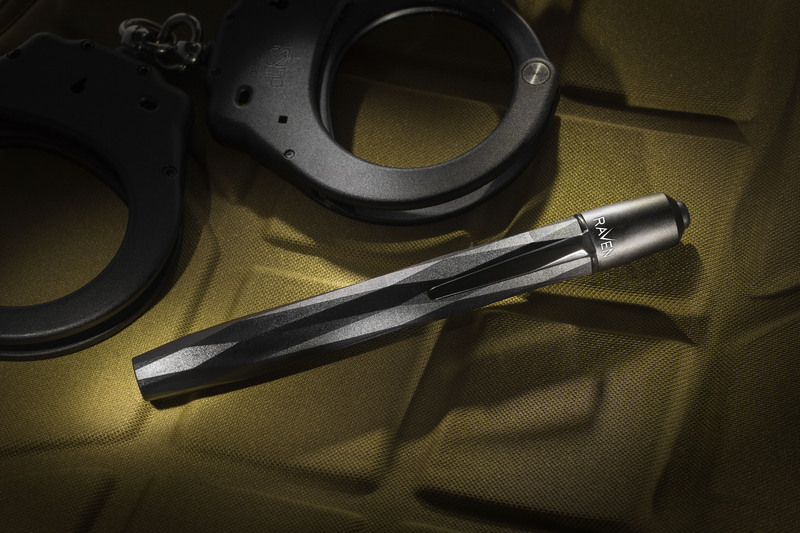 Two AAA battery power source and the size of an average ink pen to conveniently ride in a pocket, MOLLE, or a myriad other places a pen can be placed. 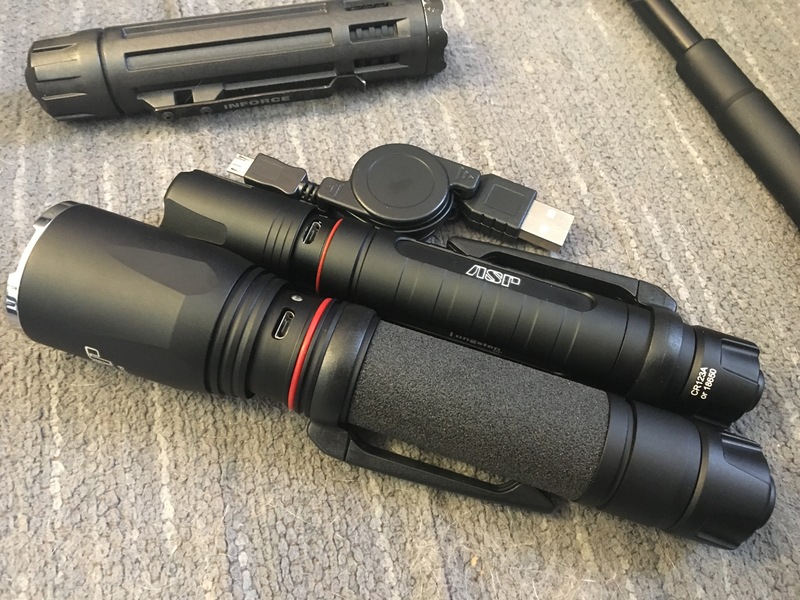 The 140 lumen Raven should be shipping right around SHOT Show. I’ll be swinging by Booth #11971 and speaking with ASP more in depth on their product line, training, and company focus moving into 2018. In the meantime swing by ASP’s webpage. You don’t need to wait until SHOT to grab a new light, except if you want a Raven.